Baton Rouge is a town whose name translates from French as red stick. Baton Rouge is in Louisiana and is the capital of the state. Baton Rouge’s population is 229, 553 people. The port of Baton Rouge is the ninth largest port in the United States. Most of the buildings in Baton Rouge are on the right bank of the river Mississippi. Because of its high altitude, the city was threatened by floods unlike the lower New Orleans, which is located further down river. City Baton Rouge and surrounding area have for many years been a place where tribes who engaged in hunting and fishing lived. According to archaeologists, the site was inhabited by people eight thousand years BC. The arrival of Europeans in the seventeenth century and the fight between them resulted in numerous military and territorial conflicts and a long period of instability. Only in the early nineteenth century the situation had stabilized and the city became U.S. territory. As in other regions of the south, the main occupation until the mid-nineteenth century were plantations, trade on the Mississippi River and slave trade. The territory of the modern city Baton Rouge has long been inhabited by Indian tribes. Notional boundary between the lands of tribe Houma and Bayou Goula has just crossed the river near the modern city Baton Rouge. The first Europeans in this marshland were Frenchmen, who arrived in 1699 under the command of Captain Pierre d'Iberville. The first thing the French sailors saw were high cypress, which was decorated with bloody heads and skins of animals and fish. Thus, the Indians marked the boundaries between the lands of Leme. So Frenchmen named this place- Red stick. The name that the Indians used for the land border between the tribes was Istrouma. After the settlement of Europeans, Baton Rouge was owned by France, the Republic of Florida, Britain, Spain, Louisiana and the United States. In 1849, the city became the capital of Louisiana. The creation of the Capitol building of Baton Rouge was by architect James Dakin, who did not follow the trends of the time to imitate Capitol Building Washington , but instead created a Neo-Gothic medieval castle, which looked to the Mississippi River. At the beginning of the civil war, Baton Rouge’s population amounted to five thousand five hundred people. In the spring of 1862, the Union troops occupied the city. Federal forces tried to retake the city in the summer of that year, but in vain. 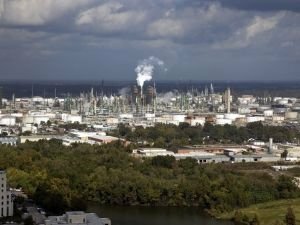 In the fifties and sixties of the twentieth century Baton Rouge experienced a boom in the chemical industry, which expanded the city rather than its center. During the nineties, a boom in construction starts in the city Baton Rouge, which continues to this day. 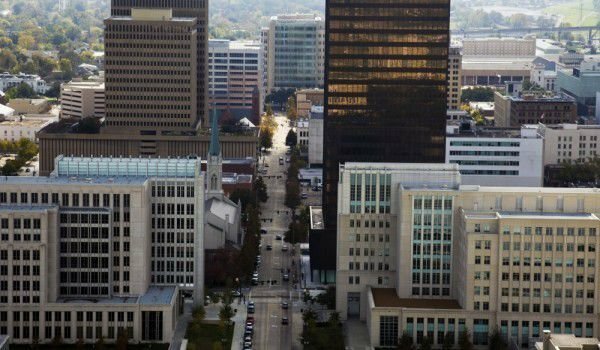 In 2000, Baton Rouge has proven to be one of the fastest growing cities in the south in terms of technology. The population Baton Rouge temporarily increased, because of Hurricane, by two hundred thousand.